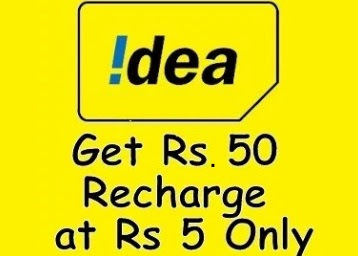 idea yaari offer : Idea has come up “Idea Yaari Recharge offer” where you will get the Rs 50 Free Recharge for just Rs 5 only. You need to Activate the Cricket pack for Rs 5 only to get Rs 50 Free Recharge from Idea Yaari Recharge offer. So Just follow the steps below to grab this offer !! Note: Recharge is Instant but Redeem code is coming after 4 to 8 Hours. It may Take 24 hours to get your Code. Now you will get the Pop-up Click OK.
On Next you will get the message like this “Final Confirmation : Paayein Rs 50 Ka Muft Recharge !! Subscribe Kijiye Cricket pack @ Rs 5/day press 9 to Activate. Now Reply with Rs 5 and activate the pack. That’s it, You will get the message from idea within 24 hours like below with Code to redeem. I got code after 8 Hours. Enter your Idea Mobile number and the Code which you have received in your Mobile. That’s it, You will get the Rs 50 Recharge instantly in your Idea Number.